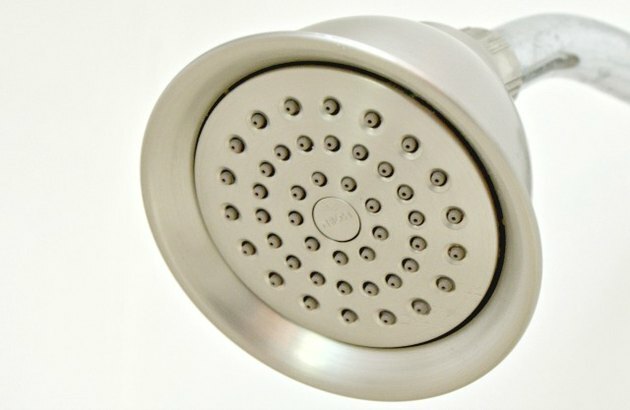 Showerheads can collect all kinds of mold, mildew and bacteria, so it is important to clean them at least once a month. And, it's easy to clean your showerhead using one household ingredient and a couple other items from around your home. 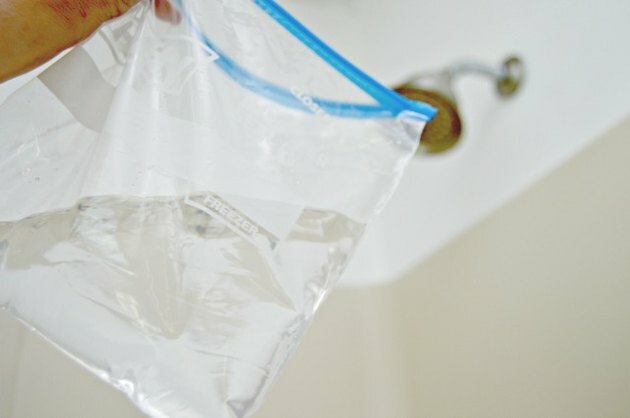 Follow this easy way to clean your showerhead in just 30 minutes! Pour 1 ½ cups of distilled white vinegar into the bag. 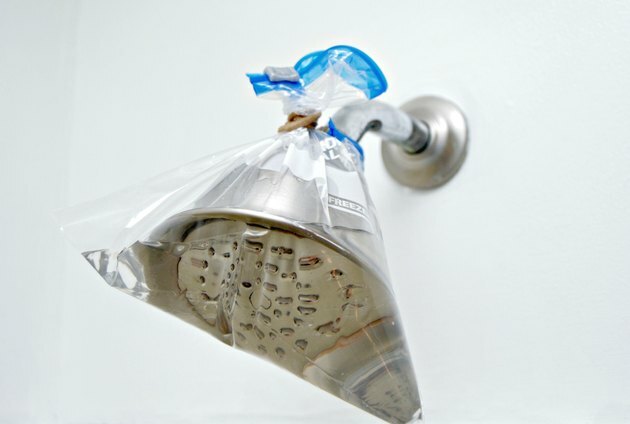 Place the bag of vinegar over the showerhead and secure with a rubberband or hair tie. Let sit for 30 minutes. Remove the bag of vinegar and discard. 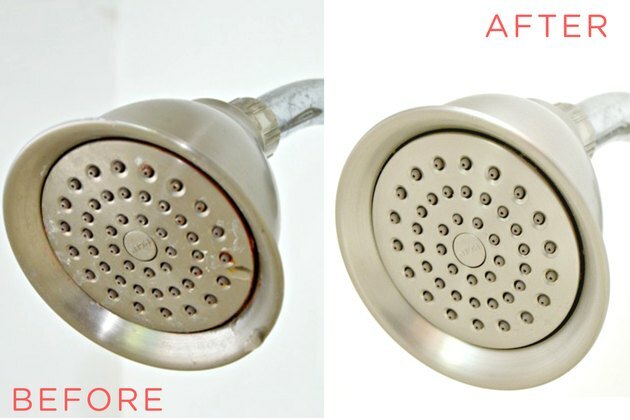 Gently scrub the showerhead, removing any loose bits of grime. 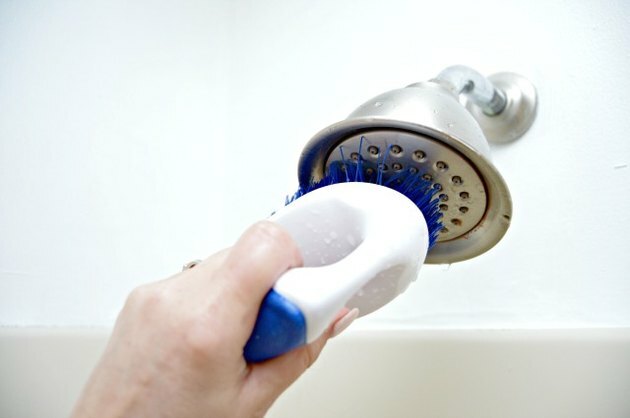 Rinse the showerhead with warm water, making sure that any loosened grime is washed away.